A stalwart of All Progressive Congress (APC) Delta State chapter, Allen Ugbedi has said that Governor Ifeanyi Okowa led administration have done nothing different from what his predecessor did to show that PDP led administration should be trusted with power again come 2019. 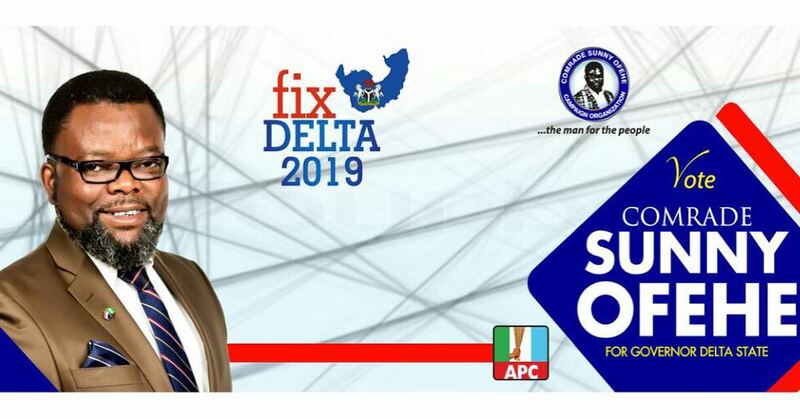 Ugbedi who made this assertions in an article entitled; “Delta APC Shall Come To The Rescue” and made available to BigPen Online on Saturday, said that Deltans have been subjected for close to 19 years to a sad commentary of mediocrity and clueless governments under the PDP administration. He said that the state have been inflicted with emptiness, material agony and moral decay, discontent and sheer hopelessness under the PDP led government. “There are no jobs, no factories, and still no hope for any industries, except with the help of the Federal Government that has now resuscitated the old DSC Aladja, with some hope for the soon to be installed Modular Refinery. So many political promises by the PDP are unfulfilled”, Ugbedi lamented. He taunted that in the face of this, the incumbent Governor is often busy gallivanting the state searching for some small community projects to commission and attending social functions. “Our Gov. Okowa gallops across the state from LGA to LGA searching for some small community projects to commission; things like market, borehole, patched roads, drainages, filling stations, and spends his time looking for burial ceremonies to attend so that he can tell us he is busy, and yes, that he is on ground. “This is evidence of mediocrity. It is all about small things been done by small minds with a small vision. He alleged that the Governor practically ‘killed’ the Delta State Oil Producing Area Development Commission and transferred its funds to other ventures which has no bearing on the oil producing communities. 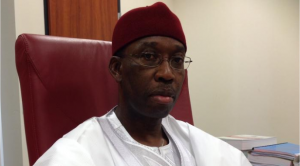 “We can extent this to DESOPADEC where Okowa brought such a giant to its knees, trapping most of the money meant for the proper development of oil producing belts in Delta Central and South for his personal and illegal use. “Is it not very sad that our poor teachers, LGA workers and pensioners, and even the DESOPADEC staff had to lead protests to Asaba before almighty Okowa will listen to their pleas or receive any attention? Is a worker no longer worth his wages in a rich state like Delta with so much, and plus numerous bail-outs from the Federal Govt? Ugbedi also queried why Okowa should commit a whopping N13 billion to a Secretariat project at a time they claimed federal allocation to the state had dwindled. “Meanwhile, Okowa committed over N13 billion to a brand new Civil Service Secretariat that nobody really needed at a time that he was singing “Ego Aria”? Who is fooling whom? According to him, Governor Okowa has continued to do the same things that Uduaghan did yet expecting a different result, stressing, “tell me, what has he done that Uduaghan did not do and more? Is it sending some youths to learn a few skills that he boasts about? As at today, there is nothing we can be proud of across our state. He asserted that the PDP administration had deceived Deltans over the years and had used “Poverty” as a tool to cowed the electorates every election year. “My worry is that “people like being fooled by actors. And when you get right down to it, they probably like being fooled by politicians even more. 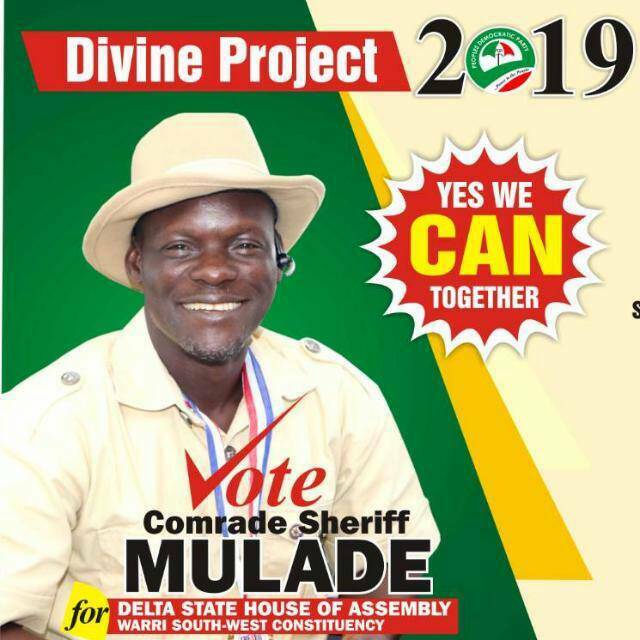 A skillful actor will make you think, but a skillful politician will make you never have to think.” Perhaps this is what PDP has done quite well in Delta State. Many decent people have even stopped thinking. “The poverty that has spread across the state is steady, designed and sustained; it was even there when there was excess of money under former Gov. Uduaghan’s regime. It has been endless wastage of the people’s commonwealth and this is so pitiable. “Poverty is a PDP strategy of the cabal to keep Deltans in chains, and make them beg for crumbs every time election comes. The heart of man can be deep. And this is the way PDP has trapped Deltans and held them down for many years against their best wishes and their quest for freedom. “Yes, this strategy has been working for them. Afterall, “Poverty knows no bounds and hears no language”. As people have no money, they demand their share in front of the polling booth. But we must thank God for the new wisdom of INEC and a plan for compulsory electronic voting to be introduced for 2019 election. “PDP can no longer run away with ballot boxes or shoot in the air to scare away voters; because it means the votes in such units would be cancelled automatically, and voting must then take place on another day with improved security. “What we have experienced thus far and can see on the ground in Delta State, after close to 19 years of various PDP-led administrations, is a collective shame to our people, a shame to Delta. We must find a new way to “Bring Back Our Pride”.